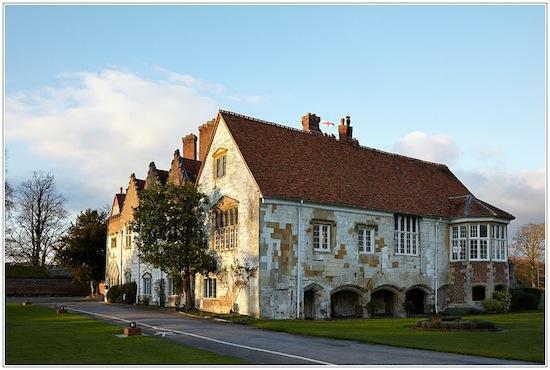 Bisham Abbey, a beautiful 12th century abbey set on the banks of the River Thames, oozes with history! It was once home to Henry VIII, and also Elizabeth I! The Great Hall within the abbey itself has a magnificent 100-foot high vaulted ceiling and minstrels' gallery, and the Warwick room has dark oak panelling and a large stone fireplace - both catering for a variety of wedding styles. If you are particularly into the history of your wedding venue there are lots of interesting facts to unearth; did you know that Henry VIII granted the manor house to Anne of Cleves as part of her divorce settlement?? (Although you might not want to mention that on your wedding day! ).